to return to this home page. I hope you enjoy your visit to my site. 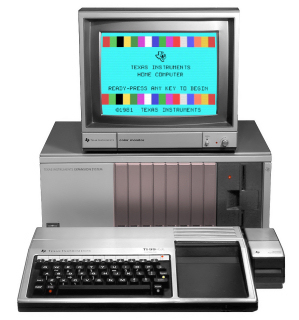 I have used a TI-99/4A since 1981, and it is really a great computer. It still has a substantial following, and I still use mine to this day. I hope you find something useful and interesting on these pages. Feel free to sign or just visit the guest book. You may just recognize some names from the past! Please contact me below for any comments or suggestions. Rob Tempelmans Plat Award. For more information about this award click on the graphic.